I am so honored to have my poem “make-believe” published in Stampington and Company’s gorgeous new magazine, Bella Grace: Life’s a Beautiful Adventure. To launch this first issue, Stampington set up a blog hop, as a way to introduce some of the featured artists and also to offer you a chance to win your very own copy! It really is a gorgeous publication, more book than magazine, filled with beauty and grace and words from so many fabulous artists. In addition to the free issue, I’m going to send the lucky winner your choice of any 8×10 print from my etsy shop, and a pair of silver earrings as well! All you have to do to enter is leave a comment on this post before midnight on Wednesday, August 20th. I’ll announce the winner on Thursday, August 21st. Stampington will be updating the blog hop page daily, so be sure to hop over and check out the other artist’s posts for even more chances to win a copy of Bella Grace. The other day, I was painting outside… not art, but my house. Because it needed to be done and it was a perfect-painting-weather day and autumn will be here soon enough. I was working away on the back entryway, repainting the door my dog insists on scratching when he wants in, and I heard a sound in the stones behind me (we have a pea gravel patio area). When I turned, I saw a very large toad hopping his way across the stones, heading right for the spot where I stood, like he was in a big hurry to get there. After he made it to the rectangle of sidewalk just outside the door, he stopped. And then, keeping one eye on me, slowly made his way over to the pair of sneakers my husband keeps tucked beneath a bench for when it’s lawn mowing time. I watched as my new friend climbed into one of the sneakers and settled in. Apparently, this is where he lives. Later, as I was painting along, I had to move the bench and in doing so, scared Mr. Toad out of his hiding spot. Before I could stop him, he hopped inside the door I’d left open, and then hopped/fell his way down the basement stairs. And then I couldn’t find him. But two days later, just as I was throwing a load of wash into the dryer, there he was, hopping right up to me again, asking to be rescued. And so, Mr. Toad was set free. When I was young, I thought being an artist somehow meant being special. Weird in a good way, extraordinary, or at the very least, different. But I was young (and therefore somewhat foolish) and if there is one thing that life has taught me, it’s that I am just like everyone else. A perfectly ordinary woman living a tiny little life in a tiny little house. If you met me at a party, you’d be quite bored. As an introvert, I’m not good at being charming or social, I don’t dress like an artist, I don’t look like an artist, I usually don’t even tell people I am an artist (unless, of course, they ask). I live in a small town in a very rural setting and my life centers around my family, nature and my garden, the seasons, my art. There’s no exciting city or cultural life going on here. In fact, most weeks, I leave my house 3 or 4 times total, and at least two of those excursions involve food shopping. I call myself a hermit as a joke, but the truth is, I’m pretty much a hermit. Yet here I am, making my living as an artist. I wouldn’t say it’s an easy life, but somewhere along the way, ordinary magic found me–when I wasn’t even looking. I planted a garden and fell in love with the sky. My pencil found its way back to the page. My camera became a daily accessory. These days, I mark the passage of time by charting the seasons, and the friend I speak to most often is a mockingbird. (I could say it’s a cat, but I’m more inclined to call them family). I spend my days making something from nothing, and there is no other word for that but magic. A client needs a brochure, and from a jumble of words and thoughts and half-ideas comes the piece they pass on to their customers. I plant a tiny seed, and a few months later I have a flower. A pile of beads and silver becomes a lovely bracelet. A blank screen with a blinking cursor turns into a poem about love and life and supermarket flowers. A camera and a quiet moment become my latest favorite picture. A refrigerator filled with vegetables becomes the perfect pot of soup. It’s all magic. It’s all so ordinary. I sit outside when I can and listen to the world. Where I live, that means bird song and tractor sound, grasshopper whirs and wind in the poplars, hummingbird wings and toad feet on gravel. But I am a busybody when it comes to art. There is never enough time and there are always words waiting to be written, weeds needing to be pulled, birds with new stories to tell. I do the best I can to strike a balance, but most days, I wouldn’t say I’ve succeeded. Most days, I work long hours on the work that pays the bills, and just a few on the work of my heart. But I always squeeze that time in, making it part of my daily existence, part of my ordinary, part of who I am. Art is what keeps me whole and centered and I have learned that, for me, there is no other way to be. Art is life. Not some glamorous, mysterious pursuit. Nor some extraordinary gift. Not something to be kept in a box, only taken out on special occasions. Art is the rain dripping from the tips of my favorite flower, the steam rising up from my first cup of tea, the pattern of my footsteps on this worn wooden floor. It’s washing dishes and making beds and painting scratched up doors. And it’s showing up, every day, to do the work. Again and again. The work of living. Life is, indeed, a beautiful adventure. And ordinary magic is everywhere you turn. In fact, some days it comes hopping right up to you and makes its home there, at your feet. All you have to do is say, welcome. Don’t forget to comment below to enter to win! This entry was posted on Thursday, August 14th, 2014 at 6:50 amand is filed under . You can follow any responses to this entry through the RSS 2.0 feed. You can leave a response, or trackback from your own site. and congrats on being published…heck yeah i want a copy…smiles. Thanks, Brian! Yes, the shadows and the light… art. I would love for you to. Thanks so much for all your support. I’m such a big fan of you, your art, your words & images, your life with the garden & cats & birds & little toad feet … thank you, always. Thank you, Susan, you very often make my day with your kind comments. don’t enter me in the giveaway – just let me drop off these words. ordinary magic is the best kind, and it is indeed everywhere you turn. i love this. and i love your adventurous toad – what wonderful stories he will have to tell his friends. I’ve been reading your blogs for a while now, and don’t comment much (always too shy, why is that? ), but I often want to just write, “Thank you,” after I read your posts. Today, tempted by the possibility of winning a copy of your work in print (congratulations! ), and moved by your wonderful words, I have grabbed my keyboard and started typing. For this piece, and for always reminding us of the beauty and joy, magic and art in the everyday, in the simple and the wildly beautiful (which are often the same thing) – thank you! Hoping to win, otherwise planning to buy. And always appreciating your poetry and images. I love this description of your life. Just last weekend, I was pulling weeds and disturbed a toad to whom I apologized profusely. Then wondered, is that a ‘weird’ thing to do. Oh, yes! I hope it is! I’m so glad Sooz introduced us on FB! Your post is beautiful. I read “I spend my days making something from nothing, and there is no other word for that but magic” and thought “YES”. Ordinary, day to day life is magic .. an adventure to be enjoyed. Thanks! Thanks so much, and yes, I’m glad Sooz introduced us as well… Here’s to magic! Yes to the art of living, the shadow and the light, the ordinary magic, and the ever important showing up…..and Toads! Hey, you! I miss our tweets, but am always happy to see your posts come through to my reader & tumbler. This one is pretty special. I’m so glad you understand toads. And plants, cats, birds, seasons. And the heart. Congrats on the publication. Definitely plan to check it out. What a wonderful description of art. I wish I had those “Ah Ha” moments more often, but mine just come and go at random. You’re lucky to get them each and every day! Very magical! Kelly I love reading your words and looking at your magical images…art yes, beauty definitely…magic oh my it is indeed….so happy you are being given this wonderful honor as it is so deserved…and you as an artist are always giving back to us! This made me entirely too happy. The simplicity of it all. I’ve always admired how artists do and live and this just described pretty much every aspect of why I love it. Thank you for writing and sharing this! A wonderful reminder that art is simply ordinary magic! Thanks so much, I’m glad you stopped by! I find it difficult sometimes to get myself past feeling like “just an artist.” I am trying to get to a space where I feel like it is extraordinary that I am an artist. I think this comes, in part, because it is not my day job. So it does kinda fall in 2nd. I accept that I am a work in progress. Yes, welcome! So glad you stopped by! Beautiful words and thanks so much for the validation of the simple life so many of us lead and yet take for granted. Enjoyed this hugely and look forward to following your work. And yes, I’d love to win, but the introduction to you is the real prize. beautiful beautiful, such ordinary beautiful magic from you as always. you are a blessing in my life, dear kelly. thank you for all you share with us. Nice piece of writing. And congrats! Love the humility in that phrase…ORDINARY ARTIST…incredibly refreshing. Thank you for the wonderful imagery. Absolutely brilliant and so deserving to be showcased! Hello Kelly! First off, I’d like to say ‘congratulations’ on being published…yayy! It has been such a pleasure discovering you through the Bella Grace blog hop. I really enjoyed reading your story. It’s always such a humbling reminder- being so in tune with nature and enjoying the simple things in life- that we are all connected in some way. I see nothing wrong with embracing your introverted-ness; what’s important is HOW you connect with others around you. Seems to me that you’ve found your balance! Many blessings to you, Kelly, and thank you for sharing your heart-felt memories and poetry. Thanks so much for stopping by, and for your very kind comments! I’ve just read your beautiful, inspiring words lying here in bed, the cool breeze from the open window gently blowing across my face. It would be easy to stay here, warm and cocooned but I’ve got to get up and start work. Work doesn’t involve leaving home and most of the time it’s dull and boring and I’m not inspired but today I will look for the magic in the ordinary. Thank you. Love your blog, glad I found it via the Bella Grace hop. Your writing puts words to my feelings, thanks for that. And thank you so much for coming by to read and comment! Beautiful words. Mr. Toad had quite an adventure! Glad you found him. I can’t begin to tell you how this post has affected me. Years of quietly pottering about – writing snippets, needle “arting”, crafting bits and bobs – and always being too afraid or too humble to accept the idea of being an artist. And yet- in my heart and soul, it’s the artistic and beautiful and unique that I am drawn to. You’ve just won a new follower. Thank You. So happy that Mr. Toad survived the ordeal! On behalf of Stampington, I want to thank you for sharing a looking into your life and for participating in the Bella Grace Blog Hop, Kelly. Though your days may be ordinary, your creativity and words are utterly extraordinary. Thanks so much, Gabriela! It was truly an honor to be included, and the blog hop has been so much fun, what a great idea! enter me if you care to, but like emmatree, it is MY honor to come to read your words. you are that artist you never tell strangers you are. you are SO much more. Hi Kelly, What a lovely story about the frog. Thank you so much for sharing it. Miracles all around – if we but just open our eyes. I agree, Life is Beautiful and the way you expressed that belief was so FULL of WONDER! Blessing to you! If you met me at a party, you would be quite bored, too! I am an introvert, but try to throw myself OUT THERE sometimes. It’s scary, but I never die from it… because I am an artist and my art always saves me. I so connected with your words. thanks for sharing them… so heart-fully. Wow Kelly, your blog is simply amazing. You have a way with words along with being an artist. Cherish the gifts you have been given – everyday. Thank you for the chance to win your give away. Thanks so much, I’m so glad you stopped by! Thank you, I’m so glad you stopped by to enter! I loved reading this post, love the story about Mister Toad, love your observations about Art and Life. “Art is life.” Indeed, and if we choose to make it so, Life can be Art. I’d say yours is. Oh, thank you. Yes, it’s all art, every tiny magic bit of it. I met a toad not long ago at my son’s soccer game. How he made it to the grassy isle between two big soccer fields, I’ll never know. Being around a bunch of teenagers in cleats was not a safe place for a toad. Thanks for your beautiful and inspirational words! Thank you! 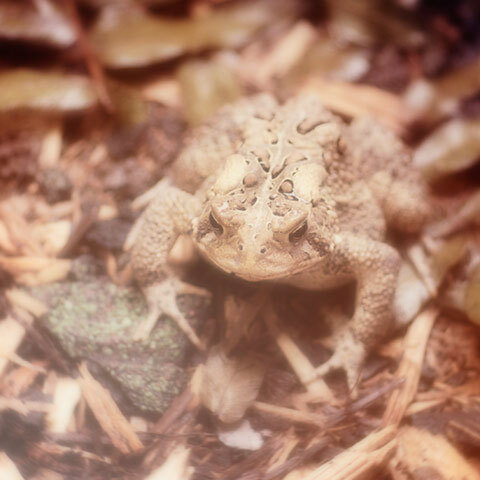 Ha, yes, we have an outdoor kitty, and I’m always worried about Mr. Toad when he’s around, but I think perhaps toads don’t taste very good… you would think they would run away from where all the people are, but they seem to gravitate towards us instead. Thank you so much for your lovely words celebrating the magic of ordinary moments. Congratulations on being published in Bella Grace. I love the story of the toad. I have one who finds his way into my basement but I’ve never been able to catch him. He always manages to hop out and surprise me. Oh, I’m glad yours can find his way back out. Thanks so much for your kind words! This is my first sight of your blog & how special it is. I love “a refrigerator filled with vegetables becomes the perfect pot of soup” – that is such a beautiful image, thank you. I think it is really important that we cherish our skills & our art. Thank you for the opportunity to win your generous give-away. I’m so happy to have found you and your wonderful words today. I feel as though you wrote this just for me and I can totally identify as an artist who sees the art in everyday things and also in the extraordinary. Thank you for a really lovely post which really touched me. Thank you so much for your heart-warming comments. We really are all in this together. Beautiful writing! Ah the gift of an ordinary day! Not to be taken for granted! Thank you! Wishing to win! Oh, what a wonderful idea, Mr. Toad could have so many adventures!! And Happy Birthday to you! Awww the ordinary…love your imagery!!! Beautifully said. For creativity to thrive, it needs a place to call home. The artist makes a home. Add me to the list for the lovely give-away. Oh, I love that, the artist makes a home for creativity. Yes. A chance to win Bella Grace PLUS your beautiful work…in two forms. Oh my heart be still. Thanks for coming by, and good luck! This is the most beautiful description of life I’ve ever seen. So true and heartfelt and common sense. I’ve always wondered what to be an artist was even though I’ve always made things and had ideas I brought to fruition. Thank you for your story and “ordinary life”. Thank you for the inspiration and little bit of sense of self you’ve given me. 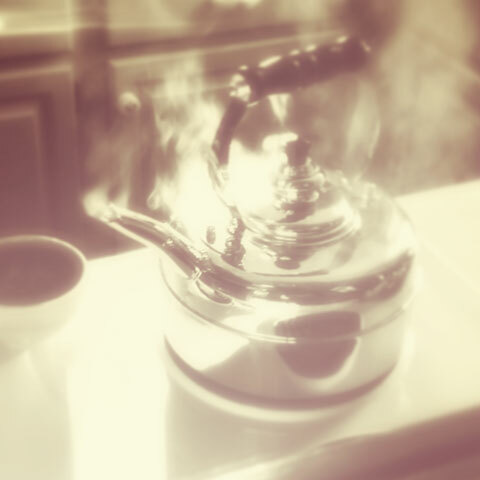 Thank you, yes, there is so much to be grateful for… and tea is one of my favorite things in life. It sounds silly, but it really is one of the things I cherish. You are extraordinary and lovely! Oh, Ayala, you are so sweet, thank you so much! Oh, I love this idea, what a beautiful keepsake she will end up having! Thanks so much for stopping by! I love the simplicity of your day. When most are on a schedule, your day consists of work and nature combined. There is nothing better than seeing that toad or another animal going about its day. Work and nature combined. Yes, that is bliss. Thank you! It is always good to be reminded of the magic of every day. Thank you. I am now taking some time to look at the pine trees against the beautiful blue sky while watching the squirrel scamper up the tree, stopping to scold the dog for chasing after him. The birds are singing and I’m grateful the wood pecker is pecking a tree and not our house today. Thank you again for the reminder to be grateful and enjoy the magic of everyday. Thank you! That sounds like a lovely morning. I am so glad that Stampington is doing a blog hop so I could be led to your blog. It is lovely. I look forward to reading more. Would love to win. Thanks so much, I’m so glad you found your way here! Ohhh, I just fell in love with your Toad visitor! Your story reminded me of times in the past that I still treasure – but I had not remembered in a long time. Thank you so much. And your Etsy site is stunning, haunting, magical, lovely and extraordinary! What a generous offer of gifts, thank you so much for such wonderful offers and all you give to the world. Aren’t you just amazing?! Aw, blushing… thank you so much!! ah,what a picture you paint with your words. makes the “ordinary life” sound more like a beautiful adventure. which it is. you are an extraordinary artist to do so much with only your vocabulary. here’s to ordinary magic. thank you for sharing. It really is a beautiful adventure, isn’t it? Thank you so much! So happy I fell upon your site. Lovely words……. (suddenly I feel ok being an introvert) thank you. It took me years to accept my introverted-ness… but we can only ever be what we are, right? Yes, it can be so difficult when life pulls us in directions we don’t want to go in… but it sounds like you have the right idea, and your art will always be there, waiting for you. So happy to read your blog! I love the simple things too. Living on the end of a dirt road, trying making life wonderful with art and kindness, your words are inspiration. Thanks! Art and kindness… the perfect combination. Thanks so much for stopping by! I am just now finding my way back to my art and I’ve enjoyed being inspired by lovely artists like you! Congratulations on your publication! Thank you so much, finding your way back to that place is a beautiful thing, I spent many years away from that place myself, but there is always a way back to our heart. so glad you made your way here! Loved this post. And I can totally relate. I’m a writer, photographer, artist and hermit a lot of the time, too. Maybe by being introverts, our thoughts and feelings come out through our work. Yes, I so agree, our work is the outlet we hermits need, thanks so much for stopping by! Sounds like my ideal life, and I love knowing you are living it, because it gives me hope that I will be able to do so also. I use the phrase “everyday magic” as a jumping off point for most of my art and my artist statement, and I like to incorporate “ordinary” things along with unexpected elements in both my weaving and mixed media art. Love the concept for Bella Grace, and congratulations on being a start-up participant ~~~ “extra”ordinary, maybe? loved your blog. very inspiring. I enjoy the art of life. And that’s the best we can ask for, right? Thank you! So many things you said brought a smile to my face. You might just be my sister from another mother! Right down to talking to the birds and I have about 12 tree frogs that live in my bird houses….the dogs and I check on them every day. “Hey frogs, how are you today?” Keep living the good life! I love my tree frogs! We have a bunch of them, all living in various spots, but the one that cracks me up is the little guy who keeps hiding in our recycling tote… every week I have to scoop him out of there so he doesn’t get dumped in the truck, and then every week he is right back again! Loved this blog post! So ordinary, yet so special! Life is made up of these glorious little moments of discovery…where we visually isolate something seemingly “common” from the panorama of items around us…and take a moment to really “see” it. Most people call us dreamers…I prefer to think of us as observers–but anyone can do it if they take the time. Thanks for taking yours & sharing! Yes, I agree, these moments are always all around us, it’s just that sometimes we simply aren’t looking. Dreamer, observer, caretaker of wonder… it all works! Somehow I missed a couple of your posts last week, while the girls had me beaching. Now I’m back at the hermit house and slowly catching up. I’ll be so happy to see you in Bella Grace; that describes you perfectly. in the hard shadow of cluttered times. You are the magician … Congratulations on Bella Grace. i love how ordinary life is and how you put into words the magic of the ordinary life 🙂 just love! This is so wonderful, just how I feel about life. . .love your writing. . .always wish I could express myself as well. . .but I don’t have to because you do it for me. . .I rarely miss a day with your blog. . .you are a blessing. Just found you. I SELDOM read blogs. it is —as Mr. Toad found out. You sound like such a lovely woman! Thanks for the wonderful post! You caught it exactly! Some days I’m just going around my daily stuff and Voila magic happens thru me…Art!It’s a wonderful life to create daily.Thank you for reminding me that art is LIFE! what great fun this blog hop is – the magazine looks lovely. writing is. So gently descriptive and interesting. It makes me want to live out of the city like you do. I so AGREE with you! Loved this post. So often, we who love creating and are shy about calling ourselves artists..even though we are…well it is coming thinking we have too ordinary of a life. 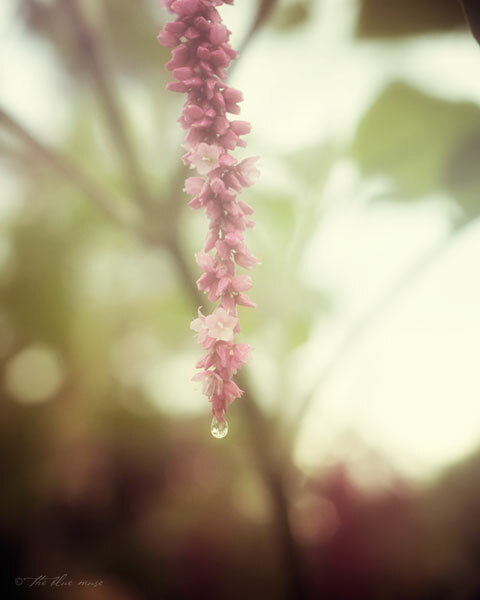 But it’s in the ordinary that we find the BEAUTIFUL… It truly is. Thank you for this lovely post. It touched my ♥. Oh how your words reasonated with my very soul! You are so right, art deserves time in everyday life. Art nourishes our very being. Like you, i always thought art and artists were such extraordinary individuals. Then maturity brought me into my own creative artistry and the absolute joy and contentment sprinkled with amazing peace completed me. There never seems to be enough time to create but then i find a partition and once again i am transported in a world i never wish to leave!! Dear Sweet Kelly, I’ve come back to read this post again and must tell you that I absolutely love it. I’m sorry that I didn’t comment the first time I was here. I vow to do much better at that from now on. Thank you so very much for brightening my life.